As readers say hello to a wide variety of animals, they learn that the different colors, shapes, patterns, and ways of being make the world a fascinating place. Although featuring animals, this book conveys the idea that even in spite of differences, we are connected to each other. The names of all the animals in the book are listed at the end. The author notes that many of these animals are endangered and suggests that readers learn more about them in order to advocate for their protection. 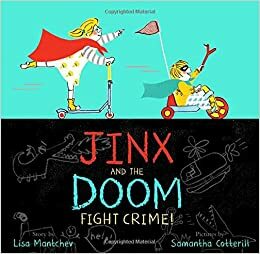 Jinx and the Doom are the cutest sibling, crime-fighting duo. Through their imaginary play, they defend the innocent and protect the planet. They also do the normal kid things like eat lunch and follow Mom's orders when she has a chore for them to do. This book celebrates play and imagination. The artwork within the book is wonderful, too. Pictures were drawn, cut, and digitally colored creating illustrations that almost look three-dimensional. Ahmed is alone in Brussels after his father died when they were fleeing Syria. With no where else to go, he hides out in the basement of a house where Max, the boy living there, discovers him. Max is taking a huge risk, but he keeps Ahmed's hide out a secret and, with the help of a few friends, finds a way for him to attend his school. Ahmed's story of survival is relevant and offers insight into the struggles that refugees face. It also addresses issues related to terrorism and Islamophobia. The friendship that the two boys form is beautiful. This is an engaging and timely read. Book lovers and librarians will have a special place in their heart for this book. This is an interesting story, with a little bit of mystery, about a girl living in the New York Public Library. Read more about my thoughts here. I'm definitely adding Nowhere Boy and The Story Collector to my TBR list. Thank you so much for the shares, Lisa! 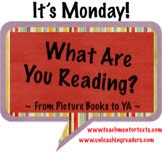 Have a wonderful reading week! I liked Nowhere Boy a lot. There have been several similar books out that I'm looking forward to. 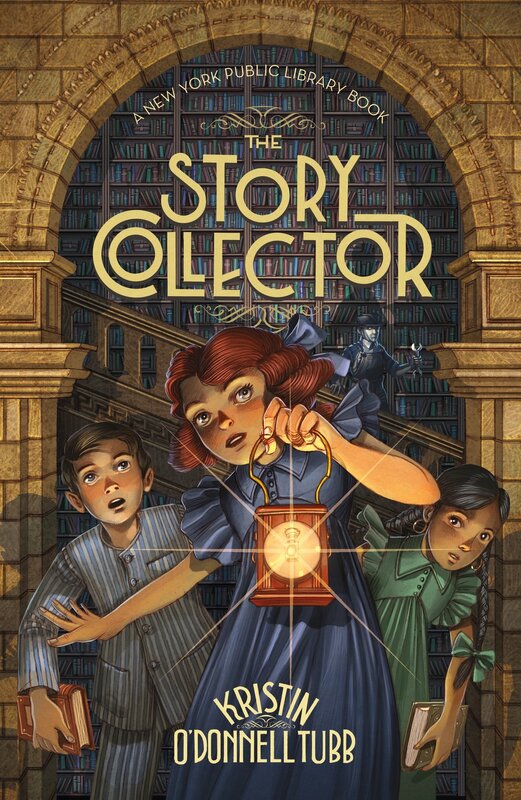 The Story Collector is in my TBR pile. Plan on reading it soon! Jinx and Doom looks fun so I need to check and see if my library has it. Have a great week Lisa! Looking forward to The Nowhere Boy and now The Story Collector, too, Lisa. Thanks! The Story Collector sounds so intriguing! What a fantastic setting for a book. Nowhere Boy sounds impressive. I hope my library brings it in soon. Ditto for The Story Collector! 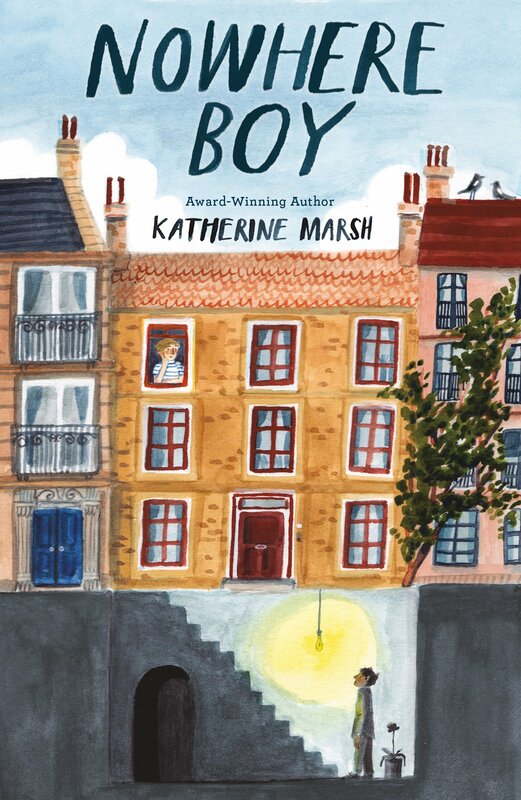 Nowhere Boy sounds fascinating--will be looking for that for sure. 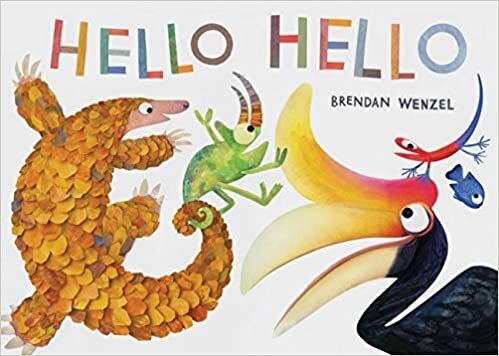 I loved Hello Hello, but then Brendan Wenzel can do no wrong in my eyes! Isn't Hello Hello so good!! I really loved it.